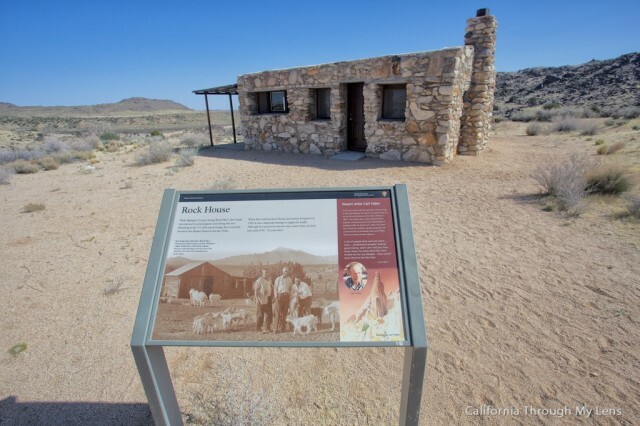 While not actually considered a national park, Mojave National Preserve is the third largest site ran by the National Park Service in the United States. Most people never get to experience how amazing it is, mainly because it’s so spread out and few get to see all it has to offer. From camping and hiking to history, this place is worthy of at least a weekend full of exploration. Since I have been many times I compiled a list of my favorite spots. 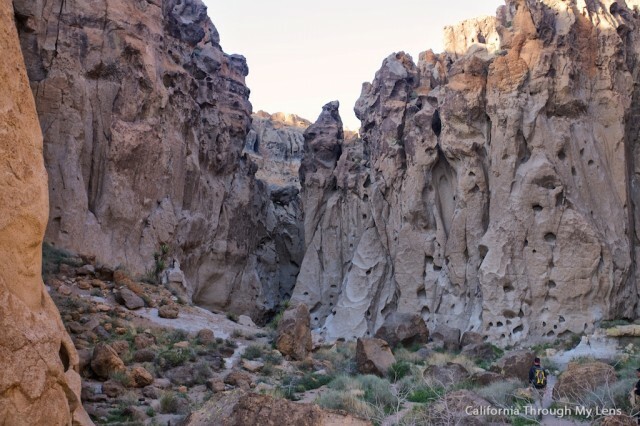 If you have never been to the Mojave National Preserve before you are in for a treat, but there are some things you need to know. There is no gas in the park, plan accordingly for what you want to do in the park and then getting back to the gas station. You can camp pretty much anywhere in the park, as long as it has a fire ring. So without further ado, here are the stops. 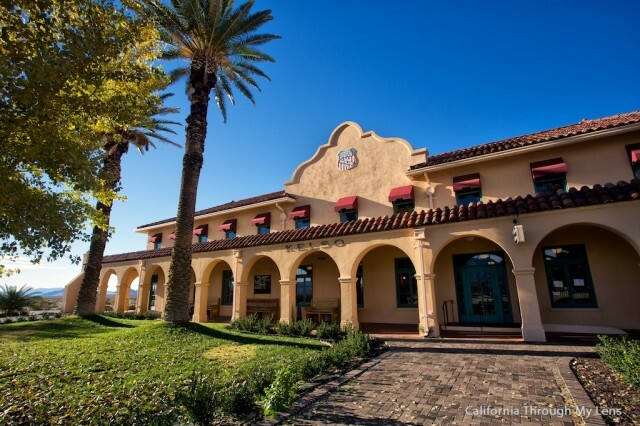 The beautiful railroad depot in the middle of the park is where all of the busyness was when this was a big railroad stop. Now it is a museum with an excellent 20-minute video and an information center. A good, short stop when in the park, plus a great place for maps and bathrooms. In the northeast part of the park sits the historic cross that is a memorial to war veterans. While technically it is not in the park anymore, it is still a good stop to see the history of this area. 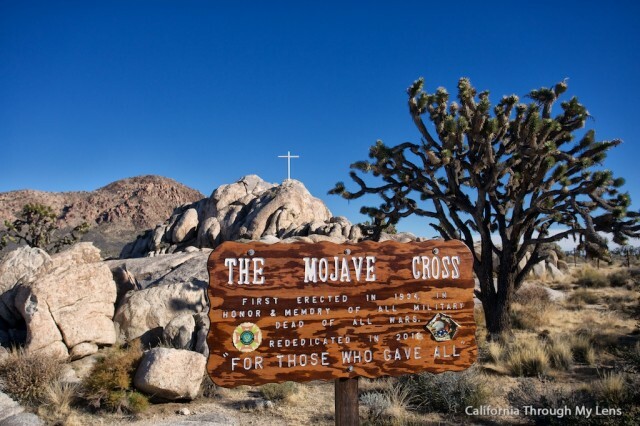 Located near the cross on the Teutonia peak trail, is the largest Joshua Tree forest in the world. 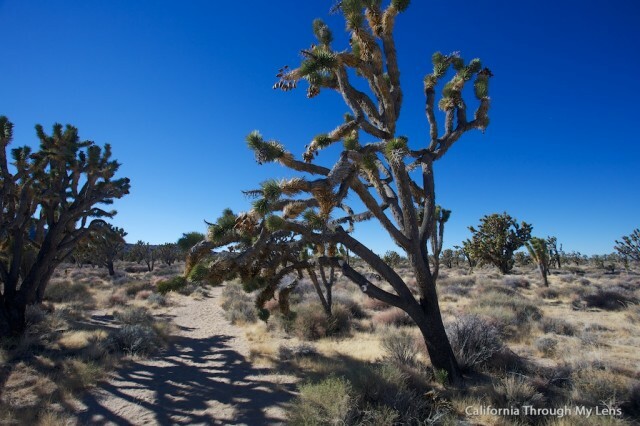 Most people assume it is in Joshua Tree National Park, but it is actually here in Mojave National Preserve. While technically a hike as well, this spot has more history than a traditional hike. It starts near a house that was built in the 1920’s and takes you a natural spring and the spot for an old army camp in the area. Not my favorite hike in the park but a lot of cool history. This massive dome that pushes out from the earth is not what you would expect. Most people would probably go past it if they didn’t know it was special but once you notice it, it is pretty crazy. It looks like the land is being viewed through a fisheye lens. 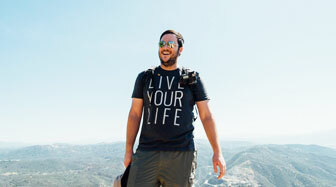 The best spot for viewing it is along the Teutonia Peak trail. This 4-mile round trip hike heads up to the top of a small peak with a lot of prominence. 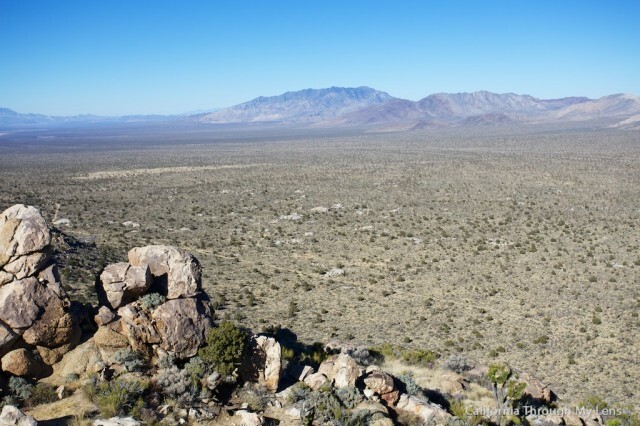 From here you can get a fantastic view of the Cima Dome, walk through the most extensive Joshua Tree forest and visit a bunch of old abandoned mines. In the northwest part of the park is one of my favorite spots. Located 5 miles down a dirt road that I wouldn’t take a low clearance car down, this lava tube is about 400 feet long and is pretty impressive to see. I love taking pictures in it and just checking out something as unique as this in the volcanic fields. 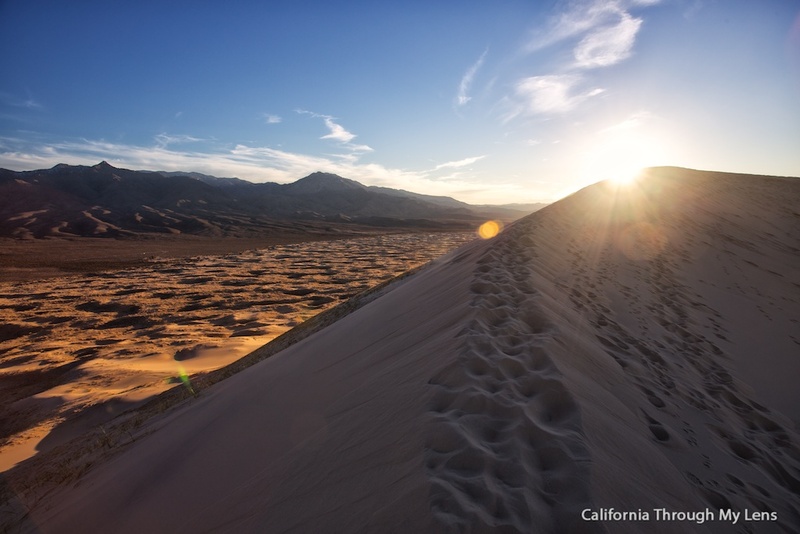 One of the most significant dunes in North America, the Kelso Dunes stick out like a sore thumb in the landscape of the Mojave. It is a pretty challenging hike in the sand, but once you get to the top, you will be excited by what you accomplished. 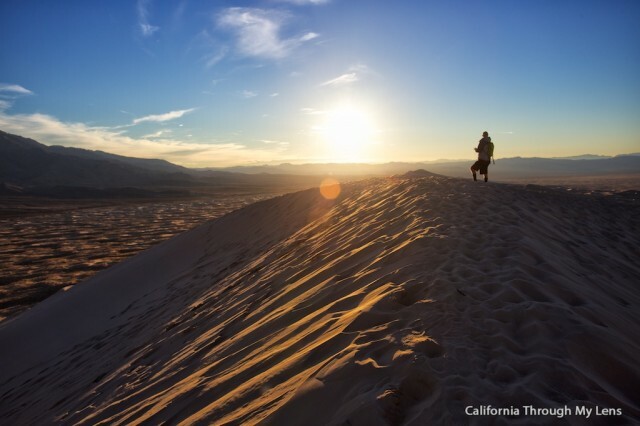 It is incredible to stand on top of these dunes, especially at sunset. I recommend camping near the trailhead as well; there are a few established spots there. My favorite trail in the entire park, the Rings Trail goes around a massive mountain, past petroglyphs and into some of the most amazing and untouched areas in the Mojave. After which it heads in through a canyon, and you have to use rings to climb out to the trailhead. One of the best 2 miles hikes you can do. 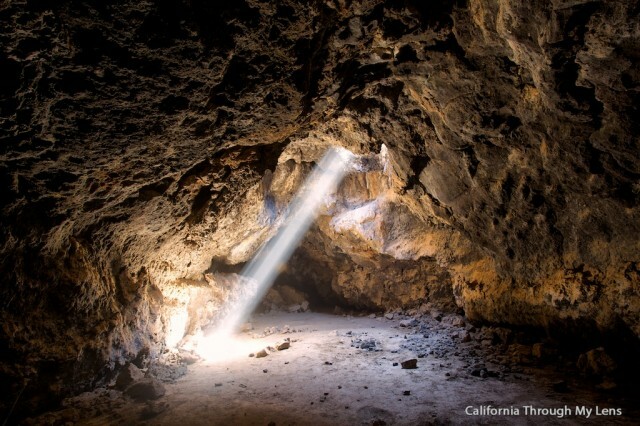 Newly reopened in 2018, this cave is accessed via a ranger-led tour. You must get tickets in advance though, and they sell out fast. 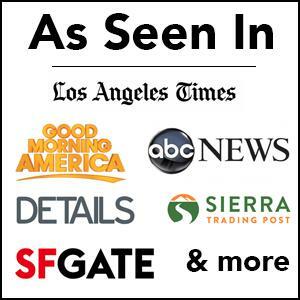 You can find information on it here. Located right next to the Rings Trail, this campground is 12 bucks a night, first come first served and has water. It is a great spot to stay at and has amazing surrounding mountains and views. 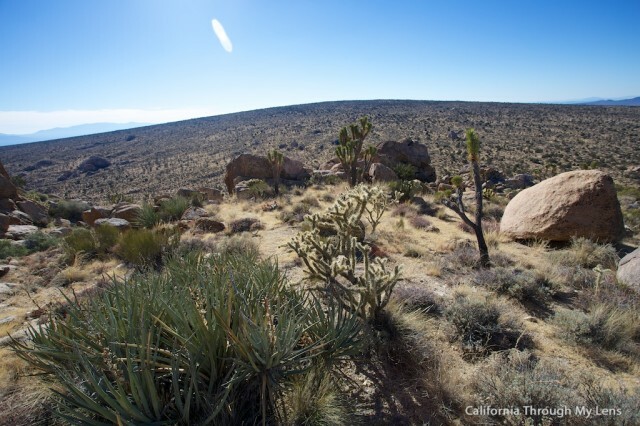 You can camp at most spots in Mojave National Preserve as long as they have firepits set up. This allows you to be able to camp in some amazing places, such as near the Kelso Dunes. Just be sure to respect the environment if you chose a spot like this. There you have it, my favorite spots in the park. What did I miss that you enjoy in the Mojave National Preserve? I am sure I will be back again as there are a ton of things that I have not seen yet.